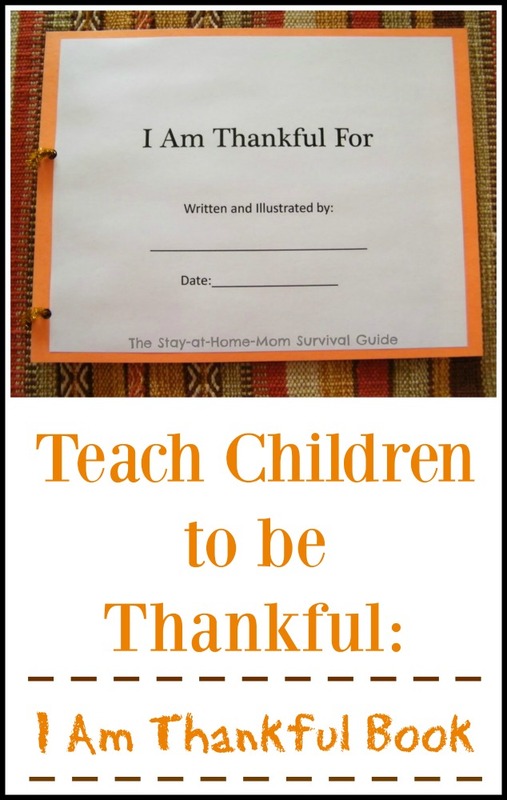 Want to teach your children to be thankful and discuss what that really means? It can be frustrating to teach this to children. We sound like broken records asking for them to “say thank you” while teaching manners. 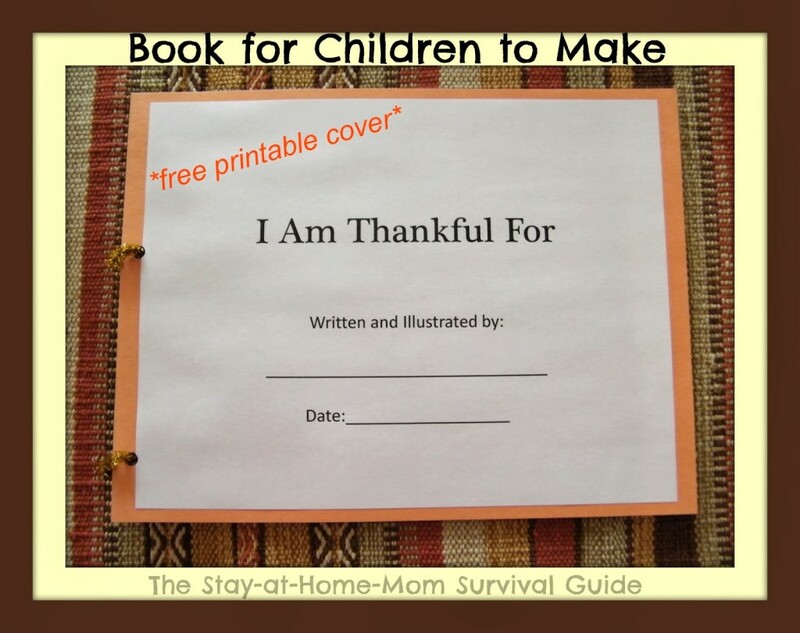 By inspiring them to reflect on what they are thankful for and documenting it, children can learn over time to have a grateful mindset all on their own.That is the purpose of this Thanksgiving book project! 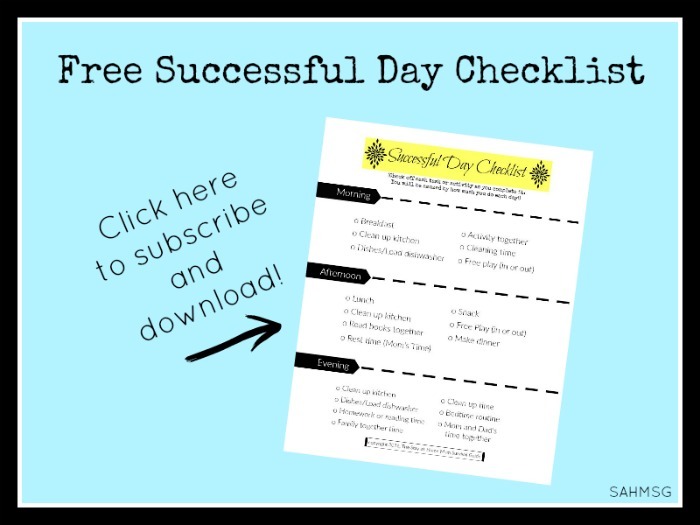 A free download and simple steps is all it takes to start the discussion with children preschool-age and older about being thankful and making sure that we are in that mindset each day-no matter the season. 1.) Start by downloading and printing this cover page. Mount it onto a piece of construction paper. Encourage your child to write their name on the line and color/decorate the cover sheet with markers, crayons, and/or other doo-dads that can be glued onto the cover. Ask your child what they think it means to be thankful. Discuss that being thankful means recognizing when we have received something and showing that we appreciate having it. For children, it can be easy to start with toys. They usually can relate to how happy they feel when they receive a new toy, or how fun it is to play with their toys. We then talk about how it is important to say ‘thank you’ to the people who give us things that we like or who help us when we need it. 2.) Once each day, ask your child what they are thankful for from that day. They use a piece of construction paper to draw a picture of what they are giving thanks for that day. Your child may need a little prompting to recall all that they did. If they want to draw more than one picture, I say go for it! 3.) Once they have drawn and colored their picture to their liking, write down (on their picture) what it is that they have drawn. (If your child is old enough to do this on their own, encourage them to do so.) I wrote the date as well and numbered the page in the bottom corner as shown in the picture above. 4.) Repeat this each day (or as many days as you remember…yes, we missed a few in our house) and store the completed pictures in a folder until it is time to assemble the book. 5.) At the end of the month-or whatever time frame you choose for ending this project-assemble the pages in order and punch holes in the edges of each page where you will secure them together. I used a piece of pipe cleaner cut into 2-two inch pieces to loop through the holes and just twisted them lightly to stay locked. You can use metal binder rings from an office supply store, or ribbon or yarn from your local craft store. Your child’s book is complete! 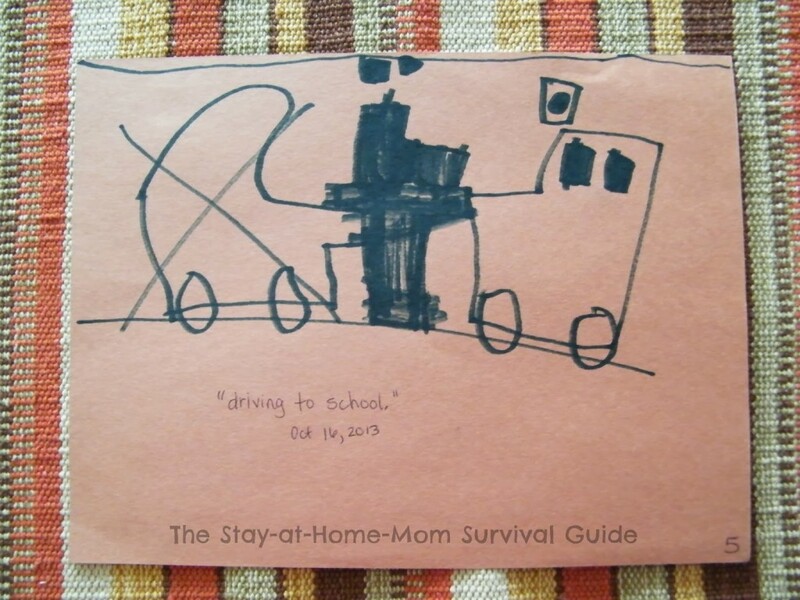 I love these make-at-home books that allow children to be authors and illustrators. These would be great to read through/share during Thanksgiving dinner gatherings or to give as gifts to the grandparents. These types of activities provide children with exposure to writing and literacy/reading exploration of their own making. 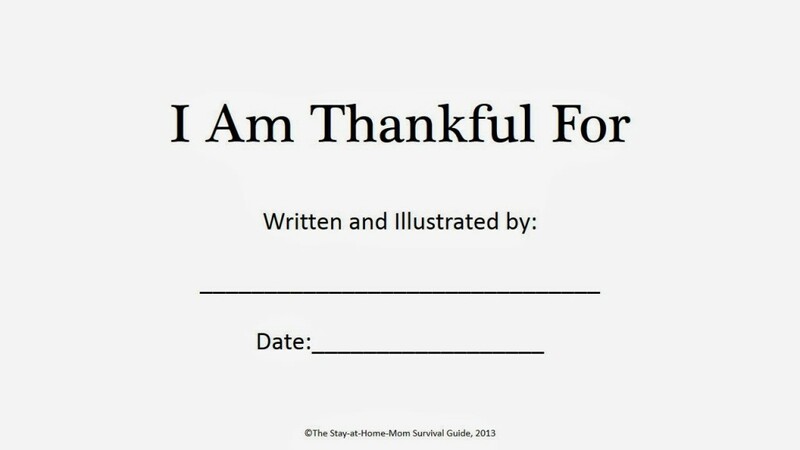 I hope you enjoy the time helping your child create this “I Am Thankful For” book this Thanksgiving season. For additional Autumn and Thanksgiving themed activities, click here. Enjoy exploring the other great Thanksgiving themed ideas shared by the blogs listed below! Life WithLovebugs, The Jenny Evolution and, Chicken Scratch NY! Thanks so very much, Kim! That is quite the list! I have my list of what I need to pin all there for me. 🙂 I appreciate you stopping by and your kind comment. What you do is awesome! 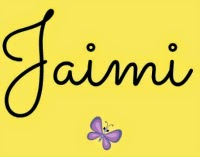 Thanks for stopping over at After School to link this up, Jaimi! It will be part of my round up on Monday. Thanks, Anna! I am so glad! I really appreciate the opportunity to share it. What a great idea – love that it's so open-ended for the kids. I'll be featuring you on our Thanksgiving round-up this week. Thanks for sharing at Discover & Explore! Awesome, Jacquie! Thanks so much and I appreciate you stopping by. I love seeing what you all link up for Discover & Explore! 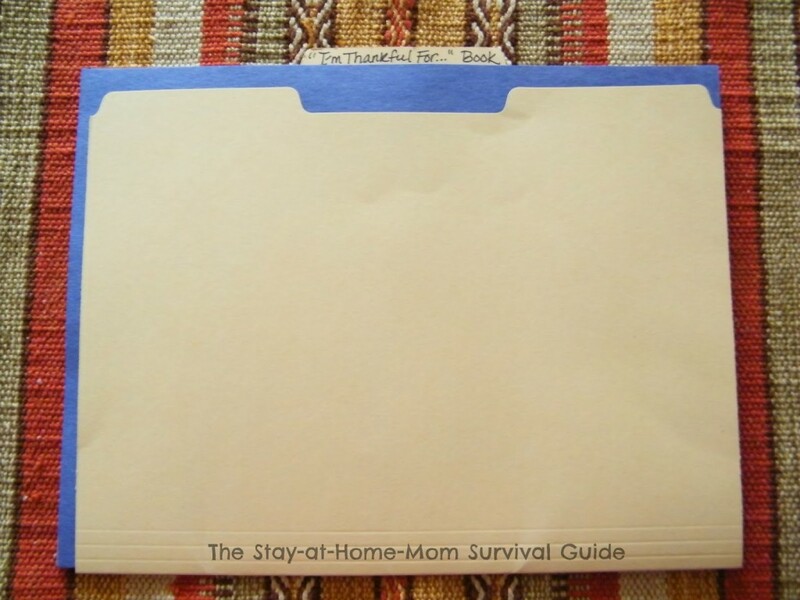 This is a great way to capture Thanksgiving memories! Thanks for sharing with Afterschool! I appreciate that, Natalie. It is nice to get to link up and share! Thanks for stopping by! My kids will love this! Great idea to use pipe cleaners as fasteners–Thanks for sharing at Magic Moments Monday. Off to share this idea with others! Thank you! I appreciate the opportunity to share it. Thank you for sharing it with others. That is so kind! 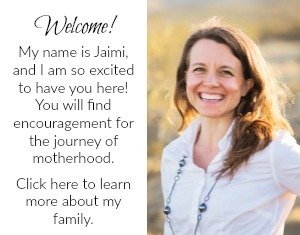 Great idea, Jaimi! So nice to help kids keep the holiday season in perspective. Thanks for linking up at After School! I appreciate that. Thanks for the opportunity to link up! I love that this will work with all three of my younger kids! Perfect, Bekki! That's why I like simple, open ended ideas-they work for more than one age group at a time which is what I face in my house too. Best to you! Sweet, I'm always asking my kids to tell me about their day and what they enjoyed. This would be a great way to reflect on the thankful things they've experienced. Happy SCBloghop! Absolutely! It really is a visual answer to our questions about their day. So easy to insert into the day. Thanks, Nicole! Awe, I am sure this will be fun when they are old enough to try it out! I wish you the best. I LOVE this Thankful book for kids! What a great way for them to think about what they are thankful for! Thanks so much! I appreciate that Tara. The goal is definitely to get the kids in a thankful mindset-always! Easier said than done sometimes. Thank you, Monika! It would be a great project to complete on an annual basis-how fun to look back in years to come. I appreciate you stopping by. 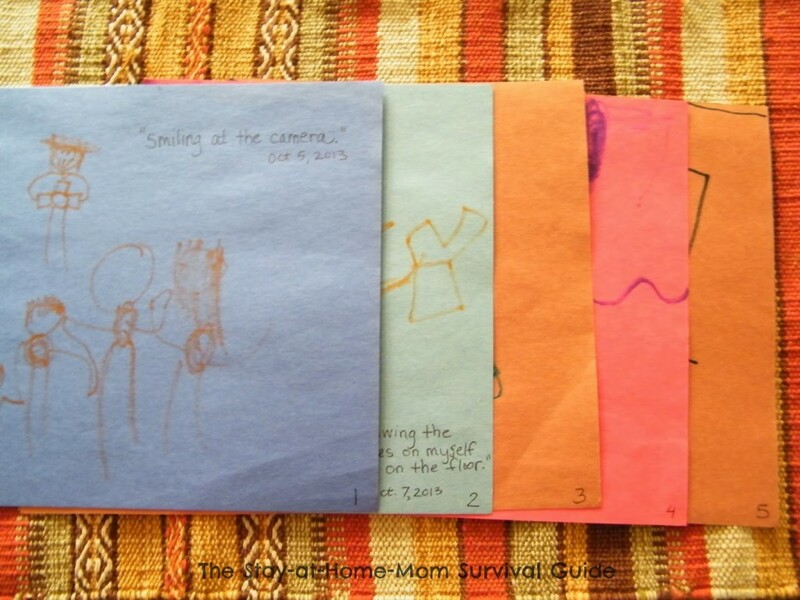 This is great – kids get to make their own book and focus on being grateful; a win-win! Thanks, Emma! Sounds like a good deal to me. 🙂 Thanks for stopping by. I look forward to checking out your activity too.